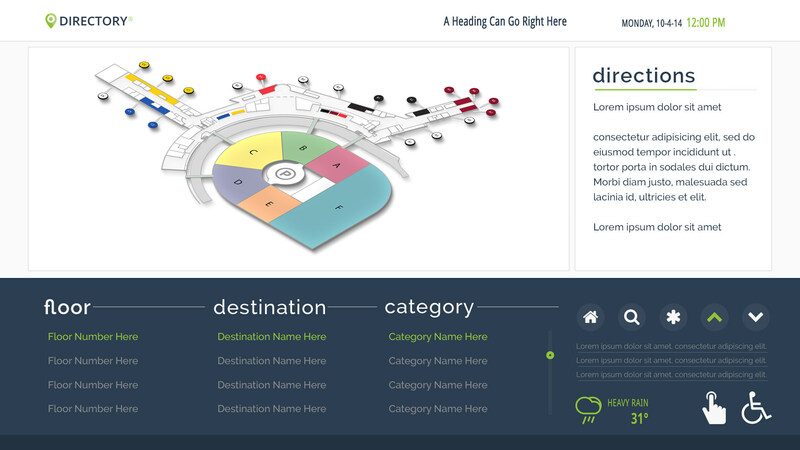 Wayfinding Pro is the turnkey, time efficient, and cost effective solution to convert your existing floor plans into a customized wayfinding application. Wayfinding Pro also allows for quick updates to your system, such as closing off hallways to reroute traffic, which are displayed in real time. 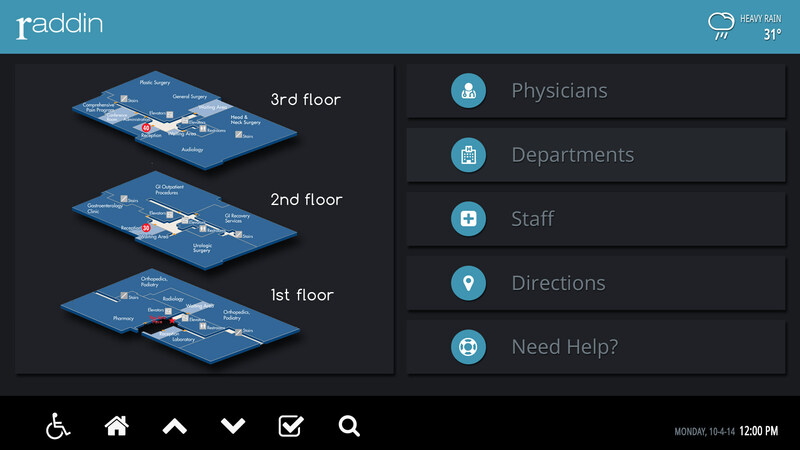 Easily deploy to digital signage, web, and mobile platforms using Wayfinding Pro.